Update: All of the wonderful senior dogs have been adopted. 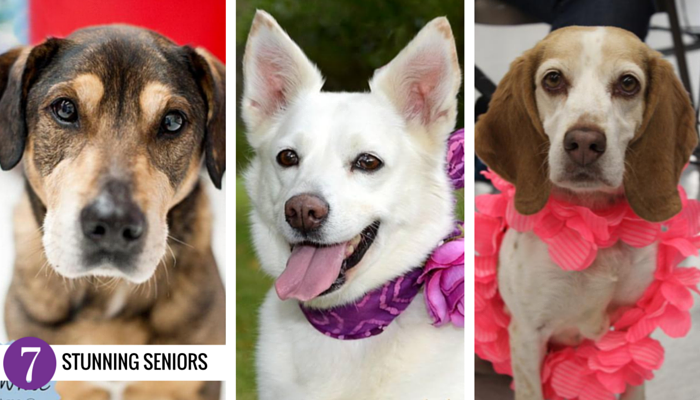 November is adopt a senior dog month, and to celebrate I want to highlight these 7 stunning senior dogs available for adoption in southeast Michigan. 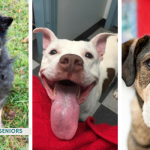 They’re proof that age is just a number, these guys all have a lot of love left to give – they’re just waiting for the right family to come along to give them a chance. Senior dogs make awesome & loving companions. If you’re looking for an easy going dog that will fit right into most homes with a few simple steps it’s hard to go wrong with an older dog. They’re often passed up for puppies, but if you’re looking to skip the chaos that comes along with puppies & adolescent dogs these older guys are perfect. They’re already trained, they’re laid back and they’re just looking for their new best friend to give them a second chance. If you want a dog that’s just looking for a nice daily walk & lots of love check out these older dogs & try not to fall in love. 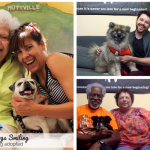 Let’s celebrate Adopt a Senior Dog Month by helping these awesome dogs find their forever homes. These 7 seniors are all available for adoption in southeast Michigan. 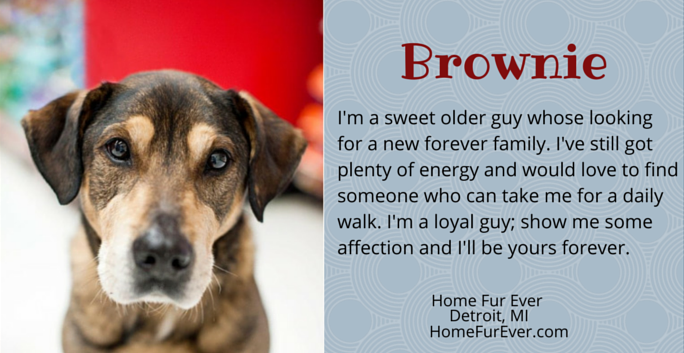 If Brownie looks familiar it’s because he was featured in last years stunning seniors post – this sweet guy is still searching for his forever home. He’s very affectionate, mellow & loving. All he wants is a nice daily walk and lots of love. Contact Home Fur Ever to set up a meeting with this awesome guy today. Lilly is a happy go lucky girl who loves meeting everyone. 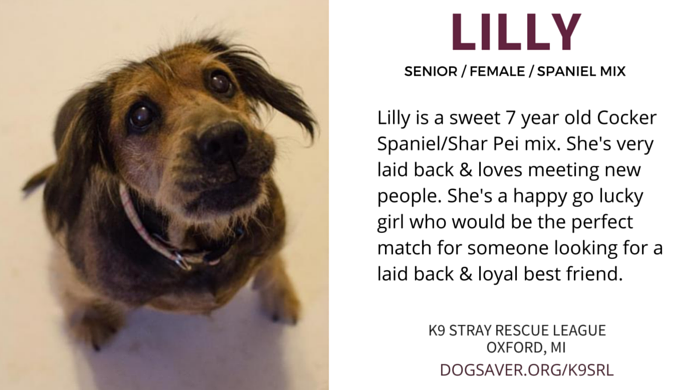 Lilly is a 7 year old female Cocker Spaniel/Shar Pei mix whose adoptable through the K9 Stray Rescue League in Oxford, Michigan. She loves meeting new people, and she’s a very happy go lucky sort of girl. If you’re looking for a sweet & loving new best friend Lilly is the girl for you. Capone is a senior American Bulldog Mix looking for his forever home in Southeast Michigan. 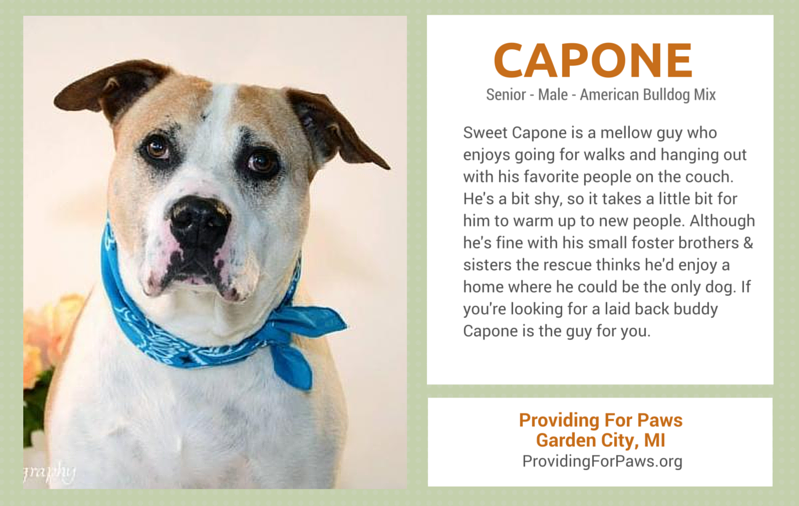 Capone is a mellow guy who enjoys a nice walk & hanging out with his favorite people on the couch. He doesn’t always warm up to new dogs so a home where he could be the only dog is recommended. Contact Providing for Paws to set up a meeting with this awesome dude. Mallory is a sweet older Shepherd mix waiting on her second chance. Mallory Just Wants a Daily Walk & Some Love – Adopted! Mallory is a quiet, laid back Shepherd/Collie mix whose available for adoption through the Michigan Animal Rescue League in Pontiac, Michigan. She’s laid back, loving & very sweet. 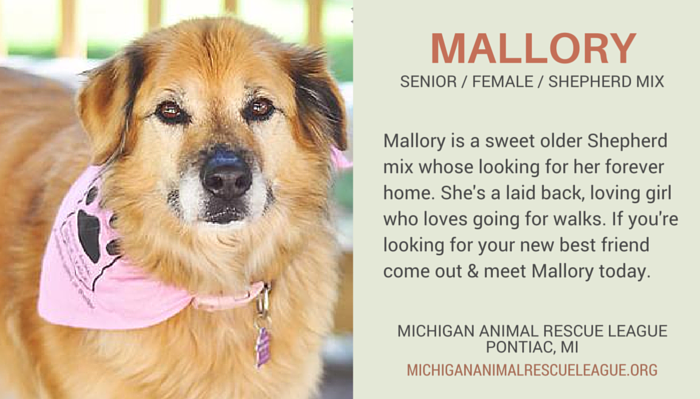 If you’re looking for a mellow dog who enjoys a nice daily walk & some extra lovin’ Mallory is your girl. Mabel is one of the sweetest dogs you’ll ever meet – she loves everyone. 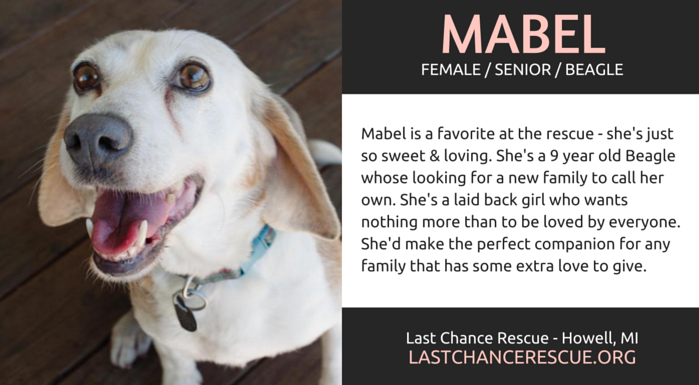 Mabel is a beautiful 9 year old Beagle whose available for adoption through Last Chance Rescue in Howell, Michigan. Her fun loving & sweet nature have made her a favorite at the rescue. If you’ve got some extra love to give Mabel is the perfect girl for you. 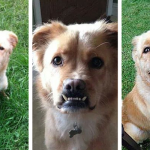 Nilla Bean loves other dogs & cats – and she’s a big fan of Peanut Butter. 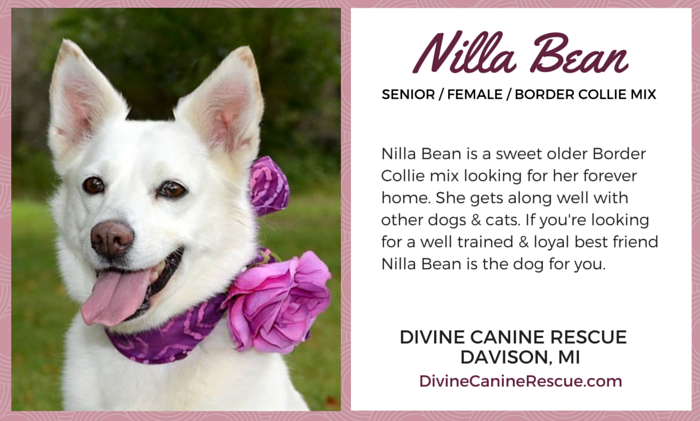 Nilla Bean is a senior Border Collie/Terrier mix whose available for adoption through Divine Canine Rescue in Davison, Michigan. She loves other dogs & cats, and peanut butter is one of her favorite things in the world. She’d be a perfect match for someone looking for a well behaved, laid back dog. Victoria is a sweet older girl who loves children. 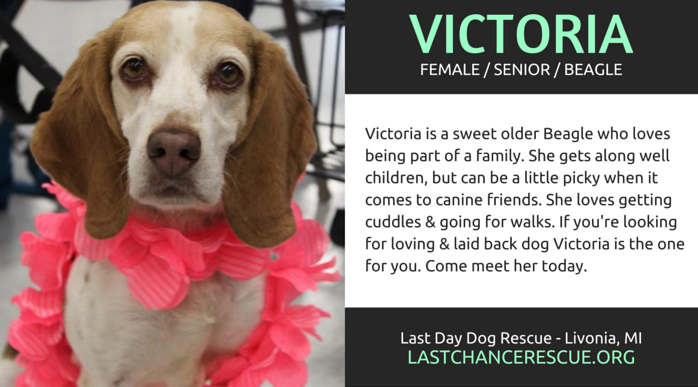 Victoria is a senior Beagle available for adoption through Last Day Dog Rescue in Livonia, Michigan. She loves children but can be a bit picky when it comes to canine companions. She loves getting ear scratches & going for walks. Come out & meet Victoria today – she’s just waiting for her second chance. Even if you can’t adopt a senior dog you can still help. 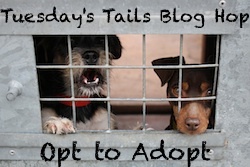 Check out some of the simple ways you can help animals in need; from networking & taking photos to donating used items to your local shelter. 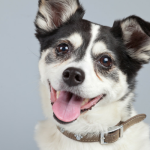 You can also help celebrate senior dogs by sharing these loving dogs on social media. It only takes one post to reach the right person. We can’t do everything, but we can each do something. Let’s help get these seniors the second chance they deserve. Brownie and Mallory are making me melt. Sharing. They’re all beautiful. Senior shelter dogs break my heart. Seniors make the best adoptees and family additions. I just want to hug Brownie! I hope they all find loving homes and families to finish the remainder of their lives with.